The workshop "Logistics, Aeronautics and beyond" took place today at the Aviatore's house, an event organized by the AM Logistic Command in collaboration with Ernst & Young. In the wake of what has happened in the past with "Logistica 4.0" before and with the "Airathon" then, the Air Force has lined up in the front line and has faced, once again, the challenge imposed by the new complexities and systemic changes. In addition to military and political authorities, including the honorable Gianluca Rizzo, chairman of the 4 th commission of defense of the chamber, and the head of General Staff Aeronautica, general of air squadron Alberto Rosso, numerous representatives of the institutional world took part in the event, academic, industrial and business. 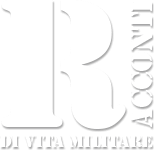 "Understanding and adapting to the potential of new technologies are essential for the Armed Forces", these are the words of General Rosso who has also emphasized that "These technologies must have cross-cutting applications and a dual use because the lack of resources increasingly highlights the need to team up and, sharing solutions, is first and foremost a moral duty". The Chief of Staff of the Air Force then concluded: "We must have the humility to listen to the young minds who are more inclined to change and who better understand innovation by always thinking in terms of evolution and never revolution, having the foresight to mitigate the excesses of enthusiasm with the good meaning and with the logic ". The Workshop, moderated by dr. Mauro Bellini, an expert in digital innovation, was held in two sessions during which the various speakers intervened, allowing the world of blockchain to be framed from various angles and to appreciate its various facets and applications in the field of infrastructures and skills. The aim is to bring the aeronautical and above all logistic world closer to this new field of application, capitalizing its potential and investing in areas such as predictive and remote assistance, technical training, transport and materials management. Addressing the "blockchain" theme from the point of view of a public administration in general and from the point of view of logistics in particular is essential to ensure that epochal changes do not represent an upheaval, but are exploited as opportunities. The general of air squadron Giovanni Fantuzzi, commander of the logistic command, in the conclusive intervention has highlighted the fields in which the Aeronautica Militare has integrated its systems with blockchain: "In the field of logistics, we did talk about 'Silef', which is our integrated and IT logistics system, with blockchain, thus certifying maintenance activities that took place in a different place from the one where the maintenance technician was located". Finally, it launched a challenge "we believe that we are mature to confront ourselves, always from the point of view of increasing our competence, with our partners. I refer to the NATO partners, especially to the partners of the big programs to which Italy participates as Eurofighter and JSF ".